The Alaska Native Health Board (ANHB) is the statewide voice on Alaska Native health issues. 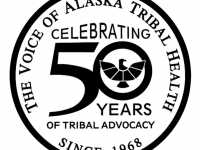 Active for over 40 years as an advocacy organization for the health needs and concerns of all Alaska Native people, ANHB continues to emphasize the importance of self-determination in healthcare services and encourages wellness and healthy ways of life in Native communities through policy change. Champions for Change The Champions for Change (CFC) program is a Native youth leadership initiative designed to highlight positive stories of impact from Indian Country. The program, inspired by a 2011 White House initiative, develops young Native leaders through experience-based learning and tailored advocacy training.